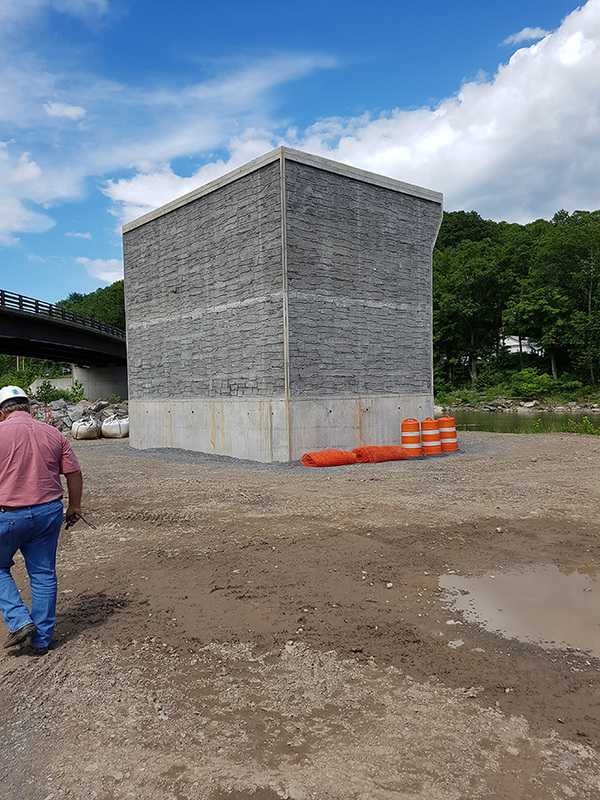 Featured Project: Old Blenheim Bridge Replacement – GPI | Greenman-Pedersen, Inc. The Old Blenheim Bridge is a wooden covered bridge that spanned the Schoharie Creek in North Blenheim, NY. Nichols Montgomery Powers was brought in from Vermont to build the bridge by a group of local business men who formed the Blenheim Bridge Company for the purpose of constructing this bridge. The bridge opened in 1855, and remained in use for vehicles until 1931. The Board of Supervisors at the time voted to retain the bridge as a public historical relic. Old Blenheim Bridge was destroyed by the events following Hurricane Irene on August 28, 2011. During this storm, the bridge superstructure washed away. The abutment and pier were left remaining in their original location. 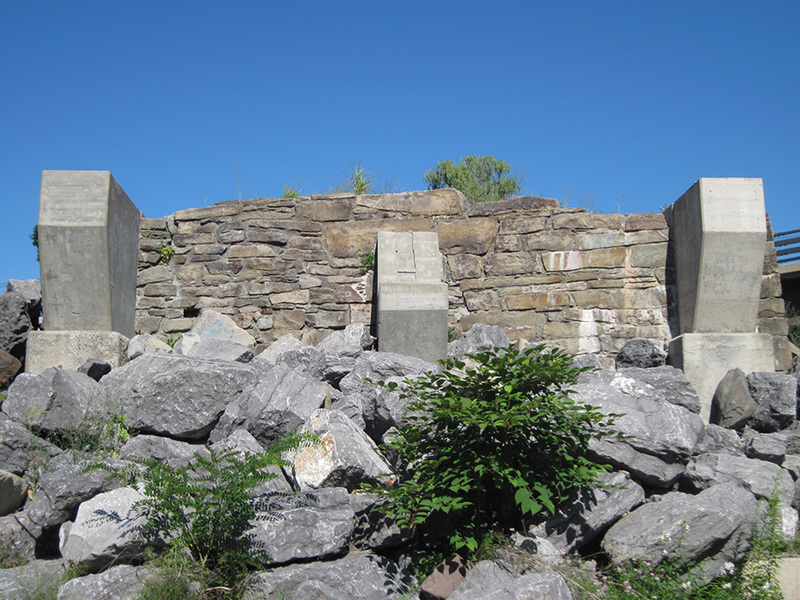 Various components from the original bridge were recovered after the storm and stored in a field behind the Mattice Family Barn along Route 30A approximately 1 mile north (downstream) of the former bridge location. The original bridge was constructed in 1855 and consisted of a double tunnel timber superstructure with a 210 foot clear-span over the Schoharie Creek. The bridge was listed by the U.S. Department of Interior, National Park Service, as a National Landmark in 1964 and a National Historic Civil Engineering Landmark in 1984. The National Historic Designation was requested to be removed by NYSHPO on September 8, 2014. Until its destruction, the bridge remained as the world’s longest single span, covered wooden bridge still in existence. Historical photo of Old Blenheim Bridge. Construction of the new bridge. Windfall Films the international award winning production company out of London, England will be completing a documentary on the Blenheim Bridge Project. This documentary is anticipated to be aired on PBS as part of the NOVA series in the winter of 2018. GPI is providing professional design services for the replacement of the bridge, services include preliminary and final design services to construct a replica structure. GPI has provided all conceptual design services including conceptual drawings, cost estimates, site investigations including abutment inspections, regulatory compliance, alternative investigations, substructure design, environmental permits and reviews and construction support and inspection.